“A Christmas Carol,” South Coast Repertory Theater, 655 Town Center Dr., Costa Mesa. Through Dec. 27, but excluding Christmas Day. Kalama Bros., 7 p.m., Cliff Restaurant, 577 S. Coast Hwy. DJ Xclusive, White House, 340 S. Coast Hwy. Juke Joint Jokers, 9 p.m., Marine Room Tavern, 214 Ocean Ave.
Nick I & ADD, 9 p.m. Mozambique, 1740 S. Coast Hwy, 949 715-7777. $10. Edgar Winter, 8:45 p.m., The Coach House, 33157 Camino Capistrano, San Juan Capistrano, 949 496-8930. $25. 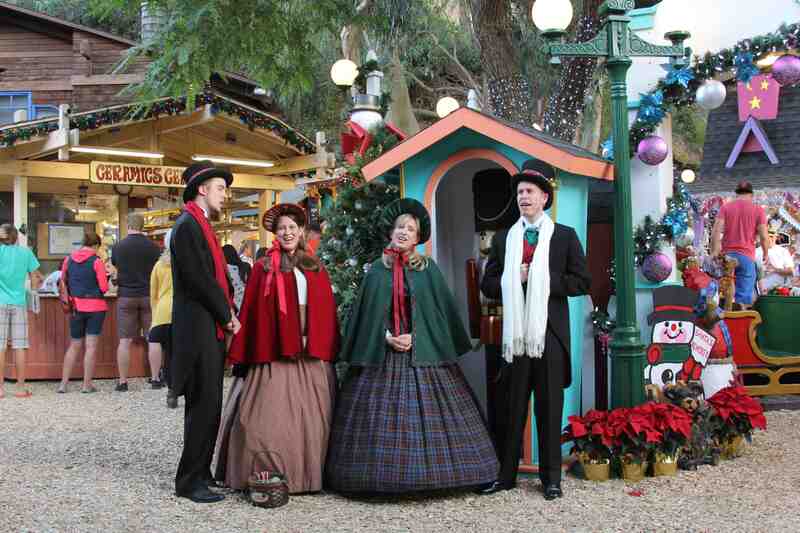 Carolers, artist demonstrations, art projects and nearly 200 vendors, Sawdust Festival Winter Fantasy, 10 a.m. -6 p.m., $7, 935 Laguna Canyon Rd. Friday-Sunday, Nov. 28-30. Sawdust Winter Fantasy, 10 a.m. -6 p.m., $7, 935 Laguna Canyon Rd. Jazz jam, 10 a.m.-1 p.m., Laguna Coffee Company, 1050 S. Coast Highway. Farmers Market, Lumberyard Parking Lot next to City Hall, 8 a.m-noon. Transition Laguna sells seedlings on Local’s Lane. Robert Jon & The Wreck, 7 p.m., Cliff Restaurant, 577 S. Coast Hwy. StoneJonez, 9 p.m., Mozambique, 1740 S. Coast Hwy, 949 715-7777. $35 at the door. Chris Daniels Project, 9 p.m., Marine Room Tavern, 214 Ocean Ave. Shenanigans, 8 p.m., The Coach House, 33157 Camino Capistrano, San Juan Capistrano, 949 496-8930. $20. Missiles of October, 4 p.m.; Jason Rowley and Seagrass, 9 p.m.; Marine Room Tavern, 214 Ocean Ave.
Pato Banton, 8:30 p.m., Mozambique, 1740 S. Coast Hwy, 949 715-7777. $20. Better Dub Band, 9:30 p.m., White House, 340 S. Coast Hwy. Christmas With the Celts, 6 p.m., The Coach House, 33157 Camino Capistrano, San Juan Capistrano, 949 496-8930. $25. Montage tree lighting, 4:30-6:30 p.m., carolers, kid’s activities. 30801 S. Coast Hwy. Aloha Radio, 7 p.m., Mozambique, 1740 S. Coast Hwy, 949 715-7777. “Striking 12,” 7:30 p.m., Laguna Playhouse, 606 Laguna Canyon Road. Tickets, $41-$66. lagunaplayhouse.com or by calling 949-497-2787. Thru 12/28. Music, skim movies, artist demo at Locals Wednesday, Ocean Ave. Brewery, 237 Ocean Ave.
Juke Joint Jokers, 7 p.m.; Mozambique, 1740 S. Coast Hwy, 949 715-7777. Assistance League Christmas Boutique, behind the Thrift Shop, off Goff Street. Selection of holiday goods, toys and cards. 10 a.m.-4 p.m. Also Dec. 5-6. First Thursdays Art Walk, 6-9 p.m., galleries remain open for artist receptions. Free trolley. James Clay Garrison and the Giant Peach, 7 p.m. Mozambique, 1740 S. Coast Hwy, 949 715-7777. Live music, 5-9 p.m., Monday-Thursday, The Deck, 627 Sleepy Hollow Lane. 949 494-6700. Lita Albuquerque and Elizabeth Turk exhibits, Laguna Art Museum, 307 Cliff Drive. Open daily except Wednesday.